ZDZ Events 2012-2013 - Zeta Phi Beta Sorority, Inc. Zeta Delta Zeta Chapter Serving Burlington County, N.J.
Join the ladies of Zeta Delta Zeta as we walk for a cure at the 2012 Making Strides of South Jersey Breast Cancer Awareness Walk! Our goal is to contribute $1000 towards the fight against breast cancer. Help support us by clicking HERE to make a donation. NOTE: All donations are tax deductible. Join the ladies of Zeta Delta Zeta for a fun filled night of dancing and blue night specials at our Cabaret. There will be door prizes, a 50/50 raffle and music by DJ WesWill! The ladies of Zeta Delta Zeta and the Deaconess of Second Baptist Church of Moorestown are hosting an Eldercare Caregivers workshop featuring guest speaker Mrs. Ellen Reaves, Caregiver Consultant & Co-Founder of The Reaves Group, LLC. A light lunch will be served between modules. Please RSVP HERE so that we can ensure that the necessary materials are available to participate in the workshops. The Reaves Group, L.L.C. helps caregivers focus on their own health, finances and emotional well-being. Ellen's educational background includes earning a Bachelor of Science Degree from Rutgers University in 1989 and a Master of Administrative Science from Fairleigh Dickinson University in 2010. She has over 10 years of experience working with non-profit agencies providing case management services to seniors in Northern New Jersey. 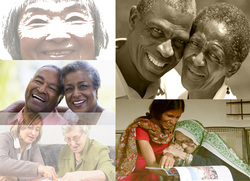 She has helped many seniors and their families apply for and access community services to help them remain independent. Join the ladies of Zeta Delta Zeta as we partner with the township of Willingboro, NJ for their "Prevention Works...Healthy 2013" Community Health & Fitness Expo!!! Come out to receive free Blood Pressure & Blood Sugar Screenings, enjoy Yoga & Zumba classes and participate in outdoor games/fit activities. Join the ladies of Zeta Delta Zeta as we celebrate black history month with our annual program themed: Harvesting our Future by Remembering our Past". This event features performances by Afro-One Dance, Drum & Drama, Robert House a specialty quilter and Kimberly Crawley presenting spoken word. The program is free for all ages and refreshments will be served. Join the ladies of Zeta Delta Zeta for our annual Finerwomanhood Scholarship Luncheon entitled Harvesting our Future by Remembering our Past...An Enchanting Tribute to Fashion and Honor. Our luncheon features a Myriad of vendors, Fashion stylings of Designer's Inc and a Delectable brunch menu. For more information or to purchase tickets please contact info@zetadeltazeta.org. When: Due to inclement weather this event has will be rescheduled. A new date is forthcoming! Join the ladies of Zeta Delta Zeta Chapter at the NPHC 2013 Youth Symposium! Youth Workshops will be focused on health & wellness, conflict resolution, social media, career development and thinking outside the box. Please see below for more details about the workshops. Driving While Teen, Creating Your Brand, Use & Misuse of Social Media, Facebook, Twitter, Instagram - Presenters: Dr. Kelly Moore & Ed Tyson Jr. The ladies of Zeta Delta Zeta will be adopting a room at the Providence House! Armed with buckets of paint, paint rollers, overalls and gloves we will rejuvenate our room and prime it to puurrrfection. Our efforts will provide a beautiful haven for weary heads and a source of relaxation. Join the Ladies of Zeta Delta Zeta as we celebrate Kwanzaa at the Willingboro Kwanzza Fest. Hosted by Innovative Solutions Through Folk Art, Culture & Tradition (IN FACT), this FREE event will consist of Family, Fun & Folklife Series, Storytelling w Dollmaking & Quilting workshops and a Ceremony & Karamu Feast. ultimate goal is to prevent hazing, bullying and cyber-bullying from happening in the first place. Come out and register to vote with the ladies of Zeta Delta Zeta and the men of Kappa Upsilon Sigma at the Moorestown Mall this Saturday. Let your voice be heard in this year's upcoming election! Feel free to contact any member of Zeta Delta Zeta to place your order or send us an email for more information at info@zetadeltazeta.org. The pizza line includes selection with zero trans fat and uses extra virgin olive oil chock-full of monounsaturated fatty acids and antioxidative substances. The pizza dough that is made from whole wheat flour rich in dietary fiber, manganese, and magnesium. The tomato sauce provides a major dietary source of lycopene, which helps fight cardiovascular disease and cancer. We also include whole milk cheeses that provide a excellent source of calcium for strong bones and prevention of osteoporosis. Last but not least, the garlic used is shown to boost the immune system thereby increasing resistance to allergies, colds, anemia, and asthma. Cheese, Pepperoni, California White, Whole Wheat, and Mesquite Chicken Pizza.